Hi friends. Welcome to "we encourage". This has quickly become my favorite day of the week on my little blog. I truly love reading the beautiful words you all contribute. This week is no exception. Heather from Finding Beauty in the Ordinary is such an inspiration. Her posts always challenge me...make me think, and I love that! And to top it off, she couldn't be more gorgeous. Thanks for blessing us today Heather. Love you! I have turned off the comments. Please head over to Heather's corner of the internet and let her know if her words spoke to you. "The stove is HOT. Don't touch it." "Make a full stop at a stop sign. Don't run red lights." I'm sure we can all remember being reminded of certain rules and forms of direction when we were younger. Even as adults, we have rules. Whether we like them or not-- deep down we all know that rules are good for us. They shape us. Guide us. Protect us. I will be honest with you. I have a rebellious streak. For example, I'm often tempted to randomly go and toilet paper someones house just for good times. Fortunately, my husband is very mature and responsible and usually talks me out of it :) When I was really little, I had a stealing problem. No joke, I loved to steal gum from grocery stores. My parents would take me back to the store manager and make me apologize. More often than enough, rules drive me nuts!! Why? Because I just want to do what I want to do when I want to do it. The other day, I looked up from my laptop at Starbucks to see a young woman at the cash register. She was buying her two, adorable little boys hot cocoa. After the drinks were made and the barista called out her name, she grabbed the cups and sat her children down at a nearby table. She repeatedly told them, "Don't drink your hot cocoa yet. Wait until I tell you that it's ready." When she got up to grab some napkins, the oldest one decided he thought his drink was ready. He took a sip. And he immediately started crying. His mother rushed over as tears were streaming from his eyes. As she gently coaxed him, she reminded him that this was exactly why she pleaded with him not to take a drink until she told him to. The outcome would have been far less painful. Obeying God is, in many ways, very similar. Through His Word, he's given us rules, guidelines, and examples to follow that help us keep our tongues from burning. An always loving Father, He's given them to us to protect us, keep us from harm, to give us a better life; to help shape us, guide us and veer us down the right paths. It's up to us to obey it. It's difficult to obey God sometimes. It's far too often much easier to disobey. To go our own way. To do what we want to do. What are the consequences of disobedience? They can be physical pain. Other times it can be deep, emotional pain. Disobeying God can bring constant drama. It can cause marriages to crumble. It can cause friendships to be destroyed. It can casue a hard heart against God. It can cause us to feel distant from Him. Like I mentioned before, obeying God is 100% up to us. We can not blame others for the consequences of our disobedience. I know from personal experience that my life is much more at peace if I center my life around obeying and meditating on God's Word. I've had to stop blaming others for what happens to me and take control of my actions. 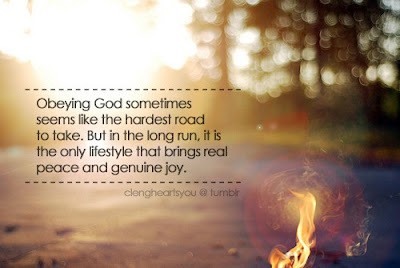 Obeying God has veered me onto a safer, better path. If I don't follow God's rules, I might not see it immediately, but over time-- destruction inevitably follows. Consequences. What are some of the blessings that come in obeying God? "When a believer is in the place of obedience, no matter how severe the storm, he is as safe as if he were at home in his own bed, because the place of security is not the place of proper circumstances or of desirable circumstances. The place of security and safety, for the believer, is the place of obedience to the Lord. They were safe in the midst of a storm in obedience." "Worshipping the Son of God-Part II"
Have you been struggling with being obedient to God in a certain area of your life? 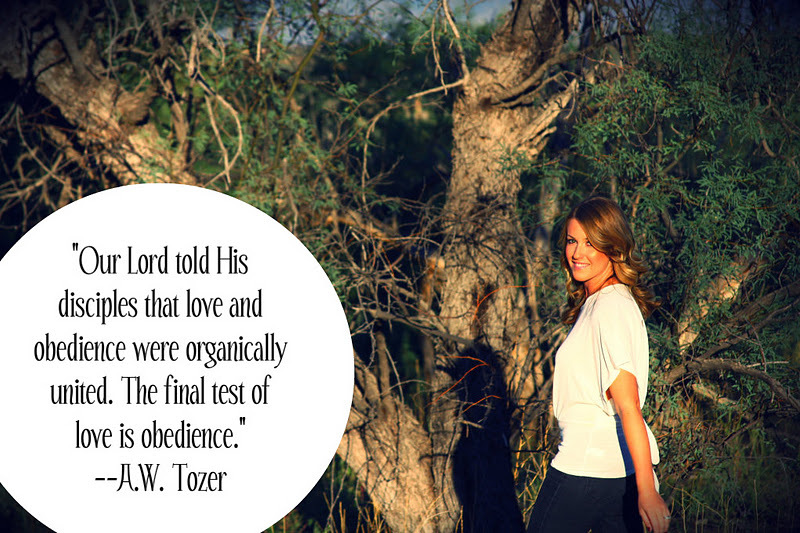 Obeying God is a lifelong process. We won't be perfected overnight. This is only something that God can help us grow in . 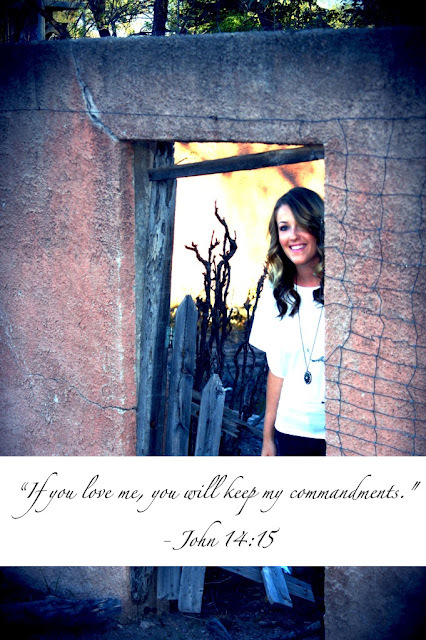 If we love Him, let's keep His commands. May I encourage you that God delights in a humble heart that desires to follow and live obediently after Him. If you haven't been obedient to God in a specific area of your life lately, it's never too late to ask God for forgiveness and for a do-over. He loves you and, like a little child that burned his tongue, desires to dry your tears. Ask God to give you strength to conquer that faltering area of your life and give it over to Him. He can make you new. He can set your path straight. It doesn't mean you won't falter sometimes, but He can help you live out a life of obedience.